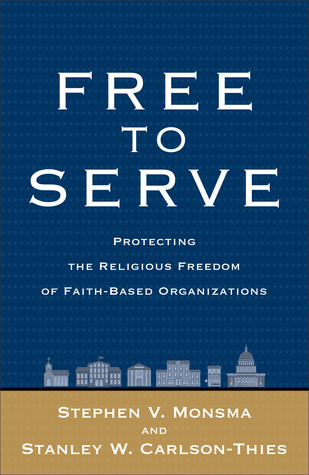 These two authors review the social and legal attitudes and rulings in recent years to compare student organizations on university campuses and non-profit service agencies to contrast the treatment of religious and non-religious, which has resulted in a growing discrimination against organizations with a faith-based mission or foundation. They present campus and court decisions that have treated faith-based organizations in a much more repressive and restrictive pattern than non-faith-based. The discussion and analyses are scholarly and logical, and very insightful about the two different standards of judgement used on a growing basis. Faith-based organizations on campus, for instance, have been required to accept anyone as officers and leaders, whether or not they support their stated basis of organization. Applied to political campus clubs, this would be equivalent to requiring a Republican club to accept a Democrat as member and president or group leader. One or more have actually taken it to that absurd length, effectively destroying the very basis for clubs and organizations to exist. The present a good logical, historical and legal basis for fairness, treating faith-based service agencies with the same considerations for contract services as anyone, defending their right to be considered on an equal basis, not discriminated against on the basis of their religious charters and mission statements. Sign into Goodreads to see if any of your friends have read Free to Serve.